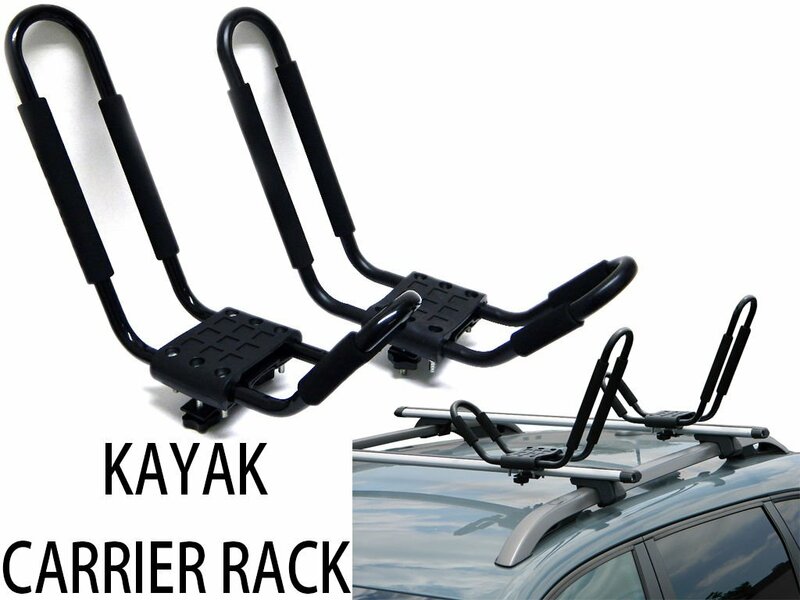 Which is the best Kayak Rack for Subaru Crosstrek? The Subaru Crosstrek is a smooth 148 horse power machine with just under 9 inches ground clearance. It is an all weather vehicle that can be driven well even over rough terrain. While it is not top of the range in terms of speed, it is a very comfortable car to be in especially on long drives. Before installing a kayak rack on this vehicle, you will need to install cross bars. The Crosstrek unlike its Outback cousin does not come with inbuilt cross bars. There are many varieties of cross bars to choose from in the market. Choosing cross bars will require that you know the load rating that is convenient for you, the length of the cross bar and how much you are willing to spend. There are various brands which you can choose from. When choosing the length, make sure the bar does not overhang. If it does, it might hit people’s heads as they leave the vehicle. There are many quality kayak carriers out there. 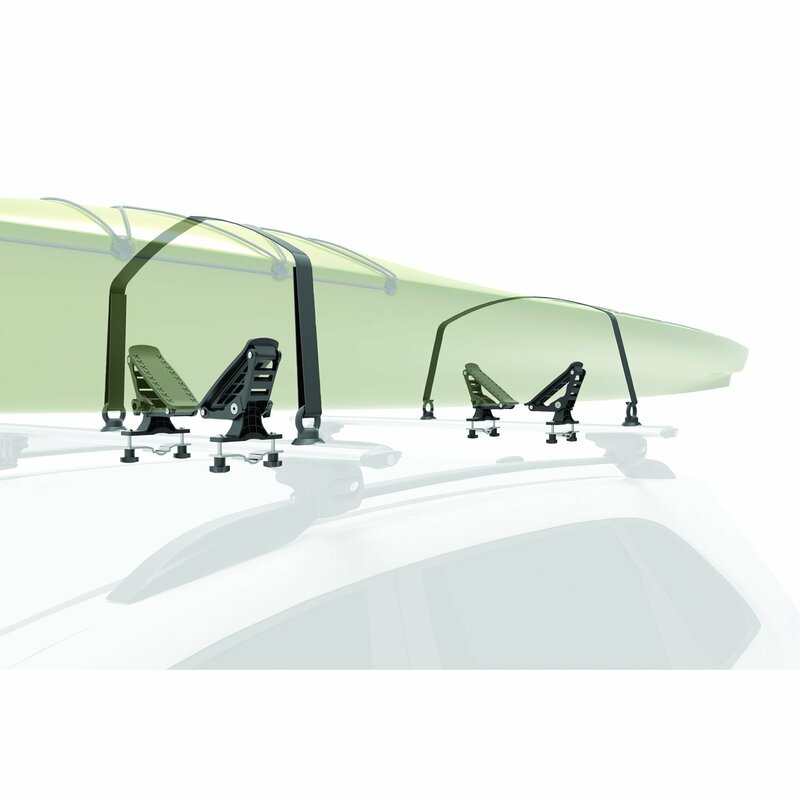 One of the best brands which you will get at an affordable price is the Rola Kayak Carrier Roof Rack. 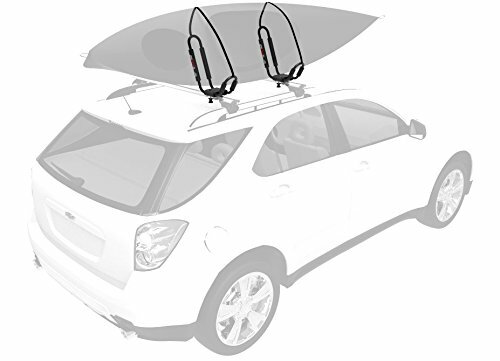 It has great features for water craft enthusiasts and these will work well on your Crosstrek. This carrier is made of heavy duty powdered steel. The steel material makes it very strong and therefore long lasting. You can use it near salt water bodies as it is rust-resistant as well. When you carry your craft on your car, you want it to be safe from dents especially when travelling on bumpy roads. This carrier comes with foam pads which shield your craft during transportation. This craft uses universal hardware. This hardware is compatible with most crossbars that you will come across. Hence it will work well with the Subaru Crosstrek. This is one of the few carrier brands that you will find with durable straps. The straps offered by ROLA are heavy duty straps that will last you a long time. The craft carrier also comes with bow and stern tie downs. The ROLA comes with a five year warranty. This is another assurance of the quality of the product. The package will come with a list of all the components and they will be labelled with alphabetic characters. These will guide you in the installation. Clean you crossbars before beginning installation. Wiping them down with a wet cloth will be enough. Let them dry before proceeding. Remove the clamp knobs by unscrewing them from the J-Rac. This will cause the clamp bracket (labelled F) to come loose. The clamp knobs (labelled G) are screws which have a head with three sides. Pull off the clamp bracket from the J-Rac and then place the J-Rac on your first crossbar. Once you are sure this is the position you want it on, hold it firmly down. Now slip back the clamp bracket through the carrier bolts (labelled H) and screw back the clamp knobs so that they are snug, but not tight. This will secure the rack onto the crossbar. Pick up the second J-Rac and repeat the process. Unscrew the clamp knobs, remove the clamp bracket, place the rack on the back crossbar, return the clamp bracket and screw on the clamp knobs. It is important when using these carriers to place your crossbars at least 24 inches apart. If they are set any closer than this, they will compromise stability. Reset them to comply with this specification. Also, align the J-Racs so that they match on each crossbar. Once you are sure that they match, tighten the clamp knobs completely. Take the Cam Buckle Strap (labelled C) and pass it through the Cam Buckle Cover (labelled B) and leave the buckle exposed at the rear. Loop the strap through the top of the J-Rac that is on the first crossbar and then tie a knot. Now load the craft onto the racks and let the two ends of the strap (the one with the buckle at the end and the loose end) hang over the craft. If the craft is loaded sideways, and the top is facing you, then the straps should come from the back, over the side and hang on the side facing you. Slip the loose end under the crossbar and then up into the cam buckle. Pull it through to ensure a tight fit. Now fit the Cam Buckle Cover over the buckle to keep it secure. Repeat this process for the back crossbar. It would be more convenient to place the strap onto the J-Racs on both crossbars before loading the craft. This will allow for faster loading. Take the rope (D) and put it through the hole in hook (E) and then tie a knot. Look for a place to secure the hook such as the tow loop or a metal surface on the bumper. Put the other end of the rope through the end of the kayak at the rescue bar. Ensure that the rope is pulled to tautness and then tie a knot to secure it. You can tie up the excess rope. Repeat this process of using the hook to secure the craft to the vehicle at the front. Look for a place to pass it through the front and tighten it as well. Test the tightness of the ropes by trying to rock the craft back and forth or from side to side. If there is movement, then you need to tighten the ropes more. The weight limit of these carriers is 165 pounds. This consists of the weight of the crossbars, the carriers and the watercraft. You will thus require to know the weights of each of these components so that you do not exceed this total weight. The ROLA rack is an excellent match for the Subaru Crosstrek. It will fit very well and also last you through the seasons and for many years. This is a carrier which has been made to last. I’m Thomas Nguyen, the founder of Careyourcars.com. Copyright text 2016 by Care Your Cars.